After his dismissal at the hands of R Ashwin last week that led of a storm of controversy, Rajasthan Royals batsman Jos Buttler has asked for wording of the law dealing with ‘Mankading’ to be reconsidered. In a round of interviews with the British media, his first comments since the incident, Buttler described the wording of the law as “wishy washy” and insisted that he remains convinced that under the current interpretation, he should have been given not out. 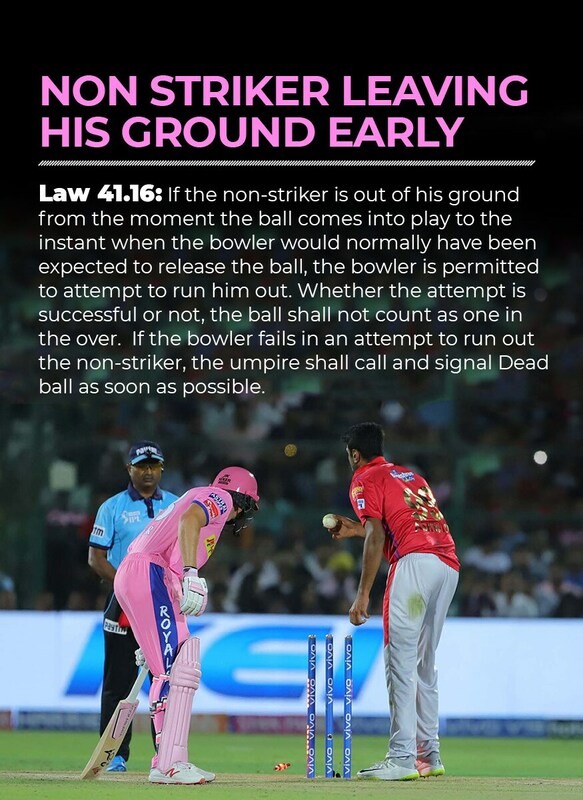 The wording of the Law states: "If the non-striker is out of his/her ground at any time from the moment the ball comes into play until the instant when the bowler would normally have been expected to release the ball, the non-striker is liable to be run out." It was the 'expected release' that caused the furore, as Ashwin had paused in his delivery stride and waited for Buttler to step out of the crease. And even the MCC made note of it and said that the extended pause was not in keeping with the spirit of the game. "Of course, a Mankading has to be in the Laws of the game because a batsman can't just run halfway down the pitch trying to get a head start," Buttler said. "But I do think, the way the law is written, there is a bit of a grey area in that saying 'when a bowler is expected to release the ball'. That is a bit of a wishy-washy statement. "I think if you look at the footage, probably the wrong decision was made because at the time he was expected to release the ball I was in my crease. I didn't like what happened and I didn't agree with it, but what can you do? I must be the only person to get out twice in that way as well. I'll make sure it never happens again." The earlier incident of ‘Mankading’ involving Buttler had taken place in 2014 against Sri Lanka at Edgbaston, when Sachitra Senanayake dismissed him in a similar manner. At the time Buttler had conceded that the mistake had been his to leave his crease before the ball had left the bowler’s hand. His view on the Ashwin incident was different though and as it turned out, his dismissal proved to be a turning point in the game with the Royals collapsing subsequently to hand KXIP victory. Buttler’s next two innings saw him score only 5 and 6 and he admitted that the incident became a “distraction.” He has found form again though with 59 in 43 balls in his last game, helping Rajasthan to victory over Royal Challengers Bangalore in Jaipur. And while the controversy appears to have faded into background now, Buttler has concerns about the example an incident of this kind set for up and coming cricketers. "At the time, I was really disappointed with it. I didn't like the style of it," Buttler said. "What was more disappointing is that suddenly over the next two games I found myself being really conscious of it and it is quite distracting. That is why it was nice to get some runs in the win and get back to thinking about batting and not worrying about how I back up at the non-striker's end. "I just thought it was a bad precedent at the start of the tournament. I'd hope, whether it was a written thing or not, that players – as custodians of the game, role models to young kids and professional people – would carry themselves in a certain way and play the game hard and competitive but play in what I perceive to be the right way, which is in a good spirit. Play hard but fair."